Thank you to everyone that left a comment. Random.org did it’s groove thing and came up with Glenda as our winner this week. I’ll send a message out to her so she can collect her prize. We look forward to seeing what you create with this latest collection and looking forward to showing you a peek next week too. Love the rich, fall colors! Thanks for the chance! OH, this kit is beautiful. As always–endless possibilities! This looks awesome – love the colors!! Thanks for the chance to win it! I’m just in awe every time you ladies post a peek! I’m a paper junkie and adore all the great colors and patterns. And is that a burlap rosette I see? How perfect for fall! Great colors. Gets me in the mood for fall. Love the flowers I can see. Thank you for the chance to win! Looks gorgeous! Thanks for the chance. Love the beautiful fall colors, thanks for the chance to win! I love all the beautiful colors. I can’t wait to see the rest of it. You ladies create such beautiful kits with such wonderful themes. Thank you so much for the chance to win it. looks like another beautiful kit ladies! Love the sneak peak! Looks awesome as always. Thanks for a chance to win it! Looks like a gorgeous fall kit! Thanks for the chance. Thanks so much for the beautiful chance. Loving the color combinations. I love Fall and this inspires me. Thanks for the sneak peek. Oh so adorable, as always! Thanks for the chance to win! Looks so pretty! Thanks for the chance to win! So pretty! Thanks for the chance! Wow, only just starting to look like fall where you are? It’s pretty much finished for us and feels like winter is just around the corner! I live in Russia, by the way. Thanks for the chance to win this kit! I have lots of fall photos I could scrap with it. Looks so beautiful! Thanks for the chance to win it! Loving those colors and knitted mushroom! Thanks for the chance! Wow those colors are amazing! Can’t wait to see the whole thing, thanks for the chance ! Love color of your kit! Oh me!! I love all Bella Gypsy kits and I’d love to have this one!! Thanks for the chance to win!! Another AWESOME kit!! Thanks for giving us this chance! As pretty as fall is, since it is followed by winter, which I HATE, I’m already counting down the days to Spring! LOL!! Great bright colors! Thanks for the chance! Love the bright, fun colors. TYSM for the opportunity! I am officially a Bella Gypsy addict! LOVE ALLLLLLL YOU DESIGNS! Oh, I love the rainbow colors! What a beautiful looking fall kit. YAY! 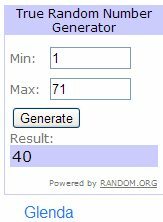 Thank you for the chance to win your gorgeous kit! Beautiful colors! Thanks for the chance to win! Love your kits. Thanks for the chance to win. Looks wonderful, would love a chance to scrap with this. Thanks! Love the fall season! This kit will be perfect for scrapping all those fall activities! All those beautiful colors!! Thanks for the chance to win!! I love the blue in this kit. Very pretty! This looks gorgeous! I just love fall, and the beautiful kits to go with it! Thanks for the chance to win!! I hate the rain and cold, but I love the fall colors and scrapping kits! Thanks for the chance to win! Looks awesome! Thanks for the chance to win. Beautiful! Thanks for chance to win! Love those beautiful fall colors! Love Love Love those colours!..thanks for the chance to win. 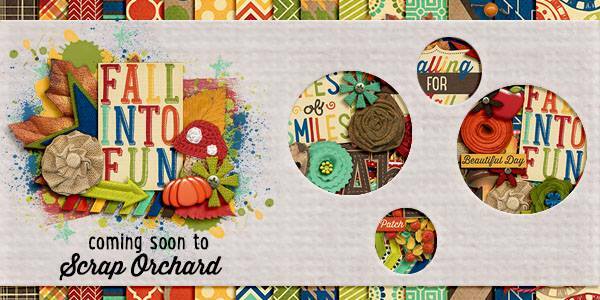 Gorgeous colors….Fall is my favorite season to scrap! Thanks for the opportunity! You girls are the best! so gorgeous! can’t wait to see the full kit! thanks for the chance. Unfortunately we are still to warm for the leaves to change! What a awesome kit, great colors!! i love the sneak peek, can’t wait to see the full preview, and thanks for the chance to win it.. Thank you for the opportunity!! Love fall colors! love love love the rich colors… yum!